Can We Help Fight Triggers of Relapse? Your contributions will support Drs. 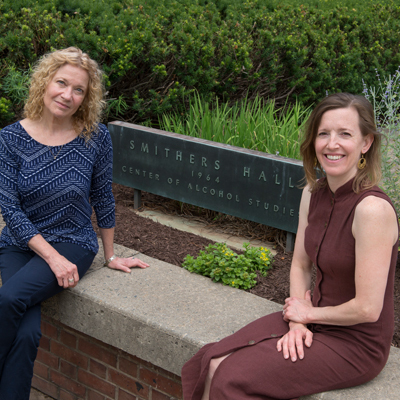 Marsha Bates and Jennifer Buckman at Rutgers University as they develop behavioral techniques to target cues that trigger drinking at the biological level. Donations will fund the $1M/year required to support personnel and equipment. As the ability to study the neural basis for the lab’s physiologically-based interventions is limited by the lack of 3T MRI, donations will be crucial in accelerating breakthroughs. Help empower people with alcohol use disorders. Alcoholism, or alcohol use disorder, is the third leading cause of death in the US, killing nearly 88,000 Americans annually. People with substance use disorders often consciously want to stop drinking and using drugs, but cannot achieve or sustain this goal due to internal and environmental cues -- the sound of a beer can opening, the smell of a cigarette, or negative emotional state -- that automatically “trigger” the behavior. Thus, bolstering people’s ability to withstand drinking triggers in real time can have a tremendous public health impact. Drs. 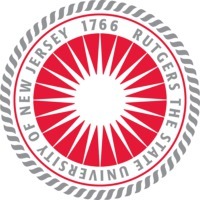 Marsha Bates and Jennifer Buckman, Distinguished Research Professor and Associate Research Professor at the Center for Alcohol Studies of Rutgers University, are leaders of the Cardiac Neuroscience Laboratory (CNL) working to target these automatic triggers at the biological level. They are elucidating what biological factors control such reactions in the brain and how these unconscious reactions can be changed. Although much research has sought to strengthen conscious efforts to abstain and create cognitive-based interventions, like learning the skills to utilize in times of craving, this treatment approach is weakened when the triggered mechanisms of the body override the goal of the mind to refrain. Therefore, Drs. Bates and Buckman hope to introduce and validate non-pharmacological, non-invasive, and non-cognitive behavioral interventions to control the automatic arousal and attention orientation that people experience when they encounter triggers. One mechanism Drs. Bates and Buckman are targeting is the baroreflex loop, which is an automatic physiological mechanism that maintains continuous communication between the heart and the brain, assessed by neurocardiac signals such as heart rate variability (HRV). Drs. Bates and Buckman’s translational lab is exploring how this mechanism responds to different types of triggers under different states and how biological systems are connected to thought, emotion, and behavior. In fact, the baroreflex loop is malleable and the team discovered that it can be changed through paced picture cue presentation and muscle tensing as well as controlled (resonance) breathing. Behavior techniques such as resonance breathing thus can be used to improve brain-body communication in the moment people encounter negative cues that might trigger relapse. Such holistic research is made possible through the leadership of Drs. Bates and Buckman whose respective expertise lies in cognitive psychology studying thought, memory, and mental functions, and neuroscience probing how biological systems are affected. Integrating not only the two collaborators’ knowledge but also the conceptual models and methods of psychology, neuroscience, physiology, exercise science, and computational modeling, CNL leverages its interdisciplinary nature also to test and disseminate the behavioral interventions to large numbers of people through smart phone and other technologies. Interdisciplinary Collaborations: A team of physiologists, computational modelers, clinical psychologists, neuroimagers, and neuroscientists, researchers at CNL use electrocardiography (ECG) and functional magnetic resonance imaging as tools to study baroreflex mechanisms at the basic physiological level and in the brain and see changes in cardiovascular and brain reactivity when people are breathing at the resonance frequency. Mobile Smartphone Interventions: Resonance breathing is a very slow and specific way of breathing that will help align a person’s heart and brain and affect behavior. To do resonance breathing or see heart rate variability feedback which enables one to accomplish resonance breathing, patients are typically required to come into the lab to have their ECG and respiration rate measured with expensive equipment. Unfortunately, although this approach is effective, the amount of technical expertise, equipment, time, and energy it requires renders it inefficient. Therefore, researchers at CNL are using downloadable mobile applications that will enable users to access a breathing pacer or use the smartphone camera to measure the blood flow in their fingers that will translate into an ECG signal. Taking this technique outside of the laboratory is especially powerful because real-life situations are where people encounter triggers and end up relapsing. Project Impact: The negative impact of alcohol misuse by pregnant and parenting women cascade beyond the women themselves to affect the development and welfare of their children, leading to the physical and mental health consequences from living with a parent with alcohol problems (estimated to be more than 10% of U.S. children). Therefore, one of the new studies at the lab focuses on women with young children, so that when they encounter a trigger they can look at their phones to engage in the behavioral interventions. To this end, Drs. Bates and Buckman are building empirical support to demonstrate the efficacy of using smartphone apps to interrupt automatic arousal processes and provide women with a tool to help maintain their abstinence after they’ve achieved it. Computational Modeling: Collaborating with colleagues in Systems Design and Computer Science at the University of California, Santa Barbara, Drs. Bates and Buckman are developing computational models of the baroreflex system to predict the efficacy of intervention for each person. In the initial study to test resonance breathing, ⅔ of the people showed positive changes, while a subgroup of individuals benefited little. By further developing the computational model to measure and predict responses for each person, Drs. Bates and Buckman hope to increase precision and effectiveness for each person. Marsha E. Bates, Ph.D. is Distinguished Research Professor and Associate Director of the Center of Alcohol Studies (CAS) at Rutgers, The State University of New Jersey. She heads the Cardiac Neuroscience Laboratory (CNL) which promotes translation between basic human experimental research and applied addiction science. The CNL seeks to take the most promising results from basic studies of cardiovascular and neural control systems, relate them to adaptability and behavioral flexibility towards alcohol and other drugs, and use them to target and affect change in those systems. The goal is to develop a new generation of behavioral interventions that can be used by people in their everyday lives to promote stress resilience and prevent relapse. Dr. Bates’ research also includes acute alcohol intoxication effects on memory, cognition, arousal regulation, and neurocardiac signaling, as well as recovery of substance use-related cognitive deficits. Dr. Bates is a Fellow of the American Psychological Association, past President of the Society of Addiction Psychology (SoAP), and recipient of SoAP’s 2011 Distinguished Scientific Contribution Award. Her research has been supported, in part, by the National Institutes of Health for more than 20 years. Jennifer F. Buckman, Ph.D., is Associate Research Professor at the Center of Alcohol Studies, Rutgers University. Her research focuses primarily on how alcohol use behaviors are managed across biological systems, particularly the cardiovascular and neural systems, and how disruption to the integration of these systems can lead to the onset or perpetuation of alcohol use disorders and other chronic health conditions. Most existing addiction treatments focus on reinforcing an individual’s conscious goals for abstinence, but biological reactions that occur outside of conscious awareness can undercut a person’s best intentions and undermine long-term recovery. CNL’s transdisciplinary research agenda seeks to find and refine new ways to interrupt these automatic biological reactions to promote positive outcomes in individuals with alcohol use disorders. Dr. Buckman’s research also includes studies on college athletes with a focus on understanding the disruption of heart-brain communication after a sport-related concussion and the intersection of health behaviors (such as alcohol and drug use) and concussion risk. Her research has been supported, in part, by the National Institutes of Health and the New Jersey Commission on Brain Injury Research. A new therapy to help substance abusers—moderating the heart rate by means of breathing techniques to quiet the mind—holds out the promise of reducing relapses.